I remember how amazed I was when I first heard a real auctioneer. It took me a while to understand that most of it was rhythmic filler. Every time I hear an auctioneer it reminds me of Herzog's "Stroszek"
no kidding! are there recordings, though, Rev? That does it, I'm going out tomorrow with a doo-dad in my hair. Doodads all round! Hi Penelope! Carolyn (one of the DeZuriks) said the DeZurik Sisters got their weird trills and yips down because they "listened to the birds and tried to sing with the birds." Holy smith, I thought that was Shelley! 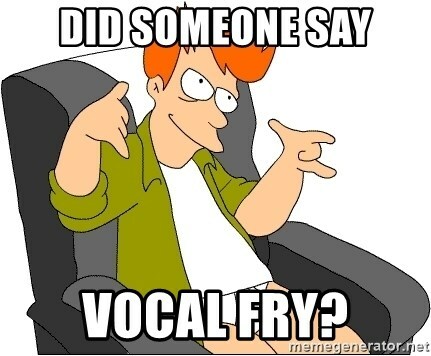 Step out of the no-fly zone and into the Vocal Fry zone! Ha, apparently I can tell the sound of Roomful of Teeth in the first 5 seconds! dinner time for me, gonna leave Vocal Fry on for the cats though. Thanks forthe show Dan! Pretty close to sounding like the evil bumblebee the lady sang about on Bill Kelly's show yesterday. Hi Dan! Fun show tonight! Yodel Polka! Great song to join the shows!